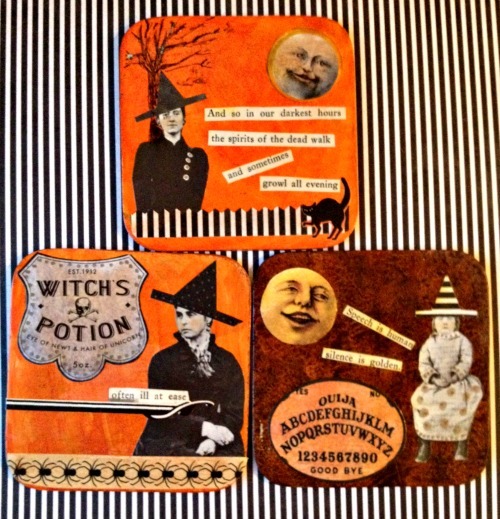 Halloween is the perfect holiday for up-cycling! 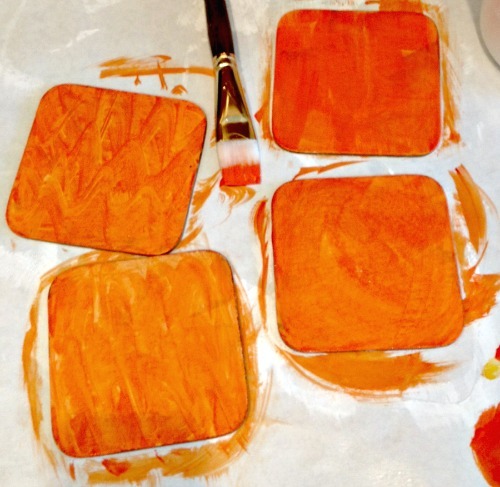 Using old books and left over scrapbook supplies, cast-off coasters can become mini works of art. The key is simplicity. Don't over think the design. Less says more. 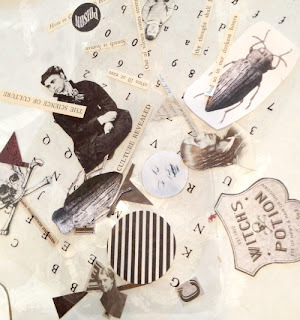 Using old books cut out letters, words, faces, and fun images. 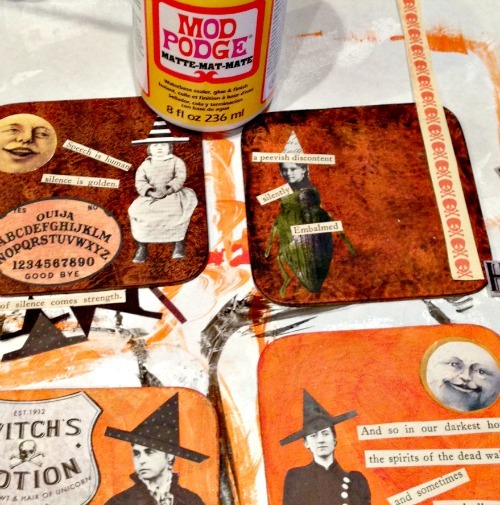 Mix the paper elements with left over scrapbook supplies to create whimsical combinations. Play with different designs but, again, don't over-think the layout. Too much concentration on theme can lead to frustration. 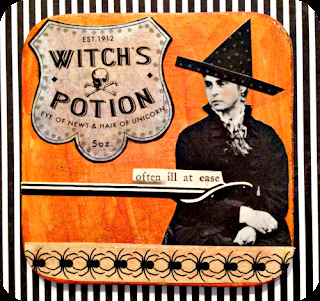 Halloween is a good time to drag out all those cool tints, inks, and paints that have gone unused in the past year. 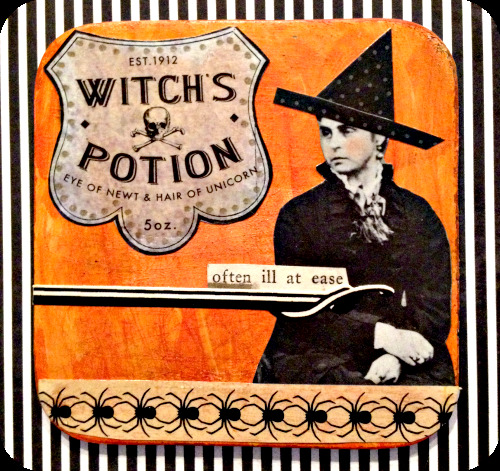 Experiment with color and texture to create a creepy cool effect. 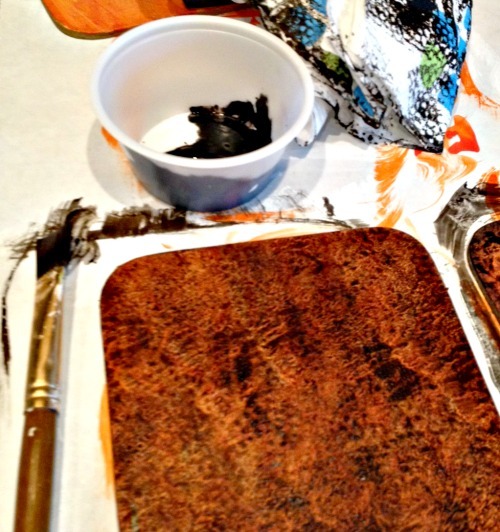 This mottled brown was achieved with watered down black acrylic paint brushed on and immediately blotted of with a textured paper napkin. 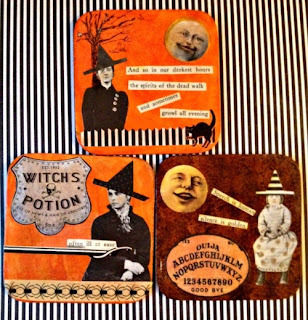 Once the coasters have the right background, use Mod-Podge to cement designs in place. After the first layer is dry more embellishments can be added. 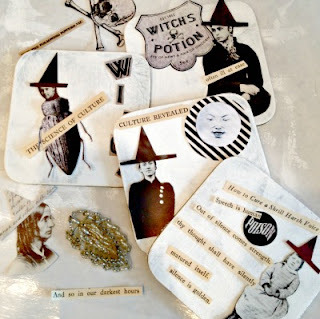 Use markers, more paper, glitter, or whatever strikes a ghoulish fancy! 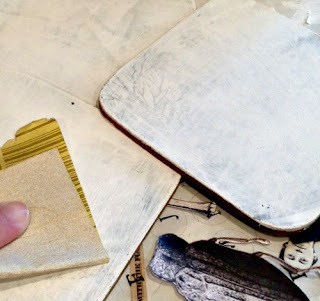 As embellishments increases, remember to cover each layer with Mod-Podge to protect the design. Once finished, apply adhesive magnet sheets to the back to create festive magnets or attach a hanger and display as mini works of art. These little vignettes are perfect for home décor or ghoulish gifts. Remember to keep them easy and have a fiendishly good time in the process!